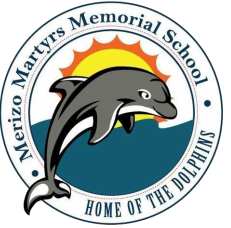 Faculty - Welcome to the online home of Merizo Martyrs' Memorial School! Ms. Lara earned her Associates Degree from Guam Community College and her Bachelor of Arts Degree in Early Childhood from the University of Guam. She loves to bring young children into the world of education. Mr. Naputi enjoys teaching Kindergarten as well as working with colleagues and stakeholders of our learning community. As he embraces the future, he hopes to continue to instill knowledge, love, and understanding in the young minds of those entrusted in his care. He strives to provide the necessary skills for life-long learning and productive citizenship. Mrs. Guzman received her Bachelor of Arts Degree in Education from the University of Guam in 1996 and her Master's Degree in Educational Leadership from the University of Portland in 2005. 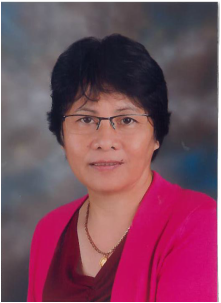 She has been a part of the MMMS faculty since 1998. Mrs. Guzman enjoys working with first graders and finds the reward of teaching young learners very fulfilling. She treasures her students' enthusiasm and desire to learn new concepts. She strives for all her students to succeed academically, emotionally, and socially. She believes every student is unique and learns in different ways thus it is the responsibility of the whole learning community to instill in our students to try their best and not give up. Mrs. Mantanona received her Bachelor of Arts Degree in Elementary Education from the University of Guam. Upon receiving her degree, she began her educational career with the Guam Department of Education. She started as third grade teacher at MMMS and now proudly teaches second grade. Every school year she welcomes new students into her classroom, aspiring to build an educational experience for every single one of them. She loves to teach. Seeing students learn and grow is her happiness. After exploring several different college degree paths, Mr. Wolfley decided to follow in his father's footsteps as a school teacher. He earned a Bachelor of Arts Degree in Elementary Education K-5 from the University of Wyoming in 1989. He was recruited from a job fair in Greeley, Colorado and came straight to Guam for his first teaching job. He enjoyed the island life so much that he decided to stay and has since been teaching at MMMS. One of the reasons why Mr. Wolfely likes Guam so much is that it has shown him the same type of hospitality that he received while growing up in the western part of the continental US (Wyoming). He has enjoyed the hiking, diving, camping, and traveling that Guam affords those such as himself with his wife and children-Patricia and Bradley-who make the island their home. After all these years of teaching, many of the students Mr. Wolfley has taught have often come back to Merizo and say hello to their old teacher. When he talks to these former students, he always reminded that, "To teach is to touch lives forever." Ms. Quintanilla graduated from the University of Guam in the Fall of 1998 with her Bachelor of Arts Degree in Elementary Education. She received her Master's Degree in Educational Leadership from the University of Portland in 2005. She taught kindergarten at Upi Elementary before transferring to MMMS in August of 1999. Since then, Ms. Quintanilla has continued her commitment to serving the southern students of Guam. Mrs. Chargualaf earned her Bachelor of Arts Degree in Elementary Education from the University of Guam in the Fall of 2005. She started her teaching career with the Guam Department of Education in January of 2006 and has enjoyed all her experiences since. Before joining the MMMS team, she taught second, third, and fifth grade at Tamuning Elementary School. Mrs. Chargualaf finds each year as a teacher just as rewarding and continues to look forward to many more exciting years as an educator. "Tun Goru," as the students know him, has been a member of Guam's educational system as a professional educator for over 45 years. During this time, he was worn many hats to include working as a classroom teacher, school administrator, adjunct University of Guam professor, and now currently as a Chamoru teacher. Serving as a principal for about twenty years, he is most interested in becoming an administrator for a charter school focusing on Chamoru culture and language. Tun Goru's passion for learning and education has been a driving force in his professional life and he hopes to continue future endeavors for, as he puts it, "as long as the good Lord allows." Mrs. Garrido started teaching at MMMS in 2000 and enjoys working with this learning community. Her philosophy with regards to working with children can be summed up with the adapted quote from Ignacio Estrada, "If children can't learn the way you teach them, you must teach them the way they learn." Mrs. Garrido finds happiness with being a part of the MMMS team and looks forward to many more rewarding experiences that working with children will bring. Ms. Unsiog finds each day working with gifted students to be a rewarding experience. She believes in challenging herself to persevere through any obstacles and instills that through her lessons with her students. Mrs. Cruz finds her experiences with working with the MMMS learning community challenging yet rewarding. Her prior teaching experiences in the classroom, pursuit of higher education, and professional development trainings have helped her to grow professionally both as a teacher and a guidance counselor. 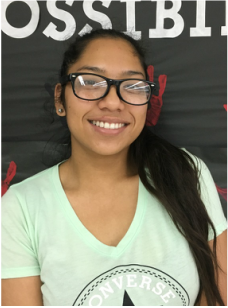 It is Mrs. Cruz's goal to do her best to promote the academic, career, and social development of students so they may achieve academic success as well as become safe, respectful, and responsible citizens. She values the support she receives from the learning community and believes that together, all can make a difference in the lives of our students. Mrs. Mansapit received her Bachelor of Arts Degree from the University of Guam and immediately became a member of the MMMS faculty. After teaching for thirteen years, she earned her Master's Degree from the University of Portland. Mrs. Mansapit's teaching profession was inspired by Emma Golman's philosophy, "No one has yet fully realized the wealth of sympathy, kindness, and generosity hidden in the soul of a child. The effort of every true education should be to unlock that treasure." Mr. Livesay joined the MMMS team in August 2016. He believes every student brings a positive contribution to the overall class dynamic and embraces diversity. Mrs. Livesay first joined the MMMS team as a G.A.T.E. teacher and now teaches second grade. She is currently pursuing a Master of Science Degree in Early Education from Capella University. Mrs. Livesay believes teaching provides an opportunity for continual learning and growth. One of her hopes as an educator is to instill a love of learning in her students as she shares her own passion for learning with them. Mrs. Jaque joined the MMMS team in August 2016. As an educator who believes every student has the ability to learn, grow, and succeed, she works diligently to equip her students with the necessary tools to do so. Mr. Guzman has been a part of the MMMS team for many years during which he served as a third grade and G.A.T.E. teacher. He currently teaches fourth grade and enjoys molding young minds into independent thinkers. Prior to joining the MMMS team as a fifth grader, Ms. Nelson has taught third, fourth, and fifth grade at Finegayan Elementary School. She takes to heart a famous quote from Stephen R. Covey, "To begin with the end in mind means to start with a clear understanding of your destination. It means to know where you're going so that you better understand where you are now so that the steps you take are always in the right direction. Although Sinora Soriano did not start her professional career as a teacher, she always felt a strong desire to pursue a career in education. In 2008, she finally had the opportunity and joined the MMMS team as a Chamoru teacher. Perpetuating the island's native culture and language has become a deep passion of Sinora Soriano. She currently serves as a Cadre member of Chamoru FAYI which works collaboratively with GDOE's Chamoru Language and Studies to develop training and instructional materials for the department's Chamoru Language program. Like the rest of her colleagues, Ms. Quinene takes pride in being a part of the MMMS team. Working with students of such diverse ethnic backgrounds she feels has helped her grow as an educator and is her motivation to continue with her personal professional development so that she may better serve her students. 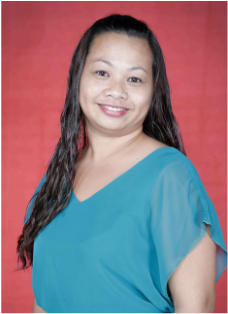 Mrs. Asuncion earned her Bachelor of Arts Degree in Early Childhood/Elementary Education for the University of Guam and her Master's Degree in Educational Leadership from the University of Portland. Her experiences come from teaching kindergarten, second grade, and A.S.P.I.R.E. at Captain H.B. Price and Ordot Chalan Pago Elementary. Now as the school librarian for MMMS, Mrs. Asuncion is excited to be opening the library doors for children and sharing her love for reading. For she agrees with Dr. Seuss who wrote, "The more you read, the more things you know. The more that you learn, the more places you'll go." Since joining the MMMS team in 2013, Nurse Paula has worked diligently to promote and instill healthy habits with our students. She has started school initiatives such as Fun Fit Fridays and Jump Rope for Heart, both with the intent of promoting regular physical activity. Nurse Paula quickly discovered that she was part of such a positive unique learning community and embraces each experience serving as the MMMS Health Counselor.